"Apple came in at the bottom of a new report from Greenpeace (which is being presented at Green:Net today) detailing the energy choices made by major IT companies like Amazon, Google, Facebook and more." 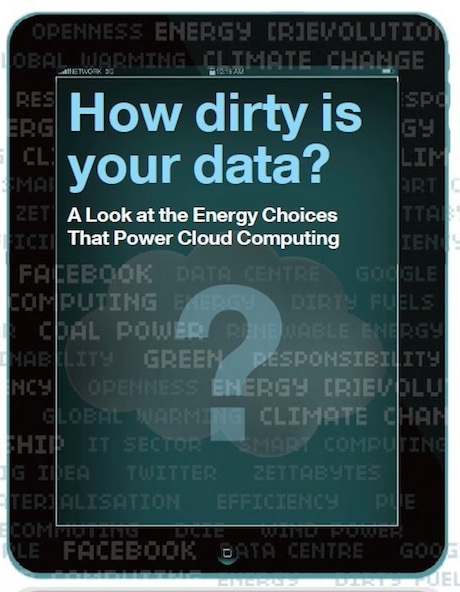 The report is available here and is called "How Dirty is Your Data?" In it, Greenpeace slams Apple mainly because the location of their new data center is in North Carolina, the heart of coal country, thus making it more reliant on fossil fuels than if they had built it in another more eco-friendly location. Greenpeace was quick to add that we shouldn't make too much of this report yet since Apple hasn't even started using this new center so the figures used are estimates. Seems rather silly to even put out the report if you can't base it on facts. Yes, I realize due to the location that the odds are certainly that fossil fuel will provide the power but we don't even know what kinds of ways Apple is going to mitigate this so why not wait until we get the facts. Inconvenient I suppose.